DARK HORSE CELEBRATES THE NEW EDITION OF WILL EISNER'S LAST DAY IN VIETNAM WITH A SERIES OF EVENTS IN PORTLAND! 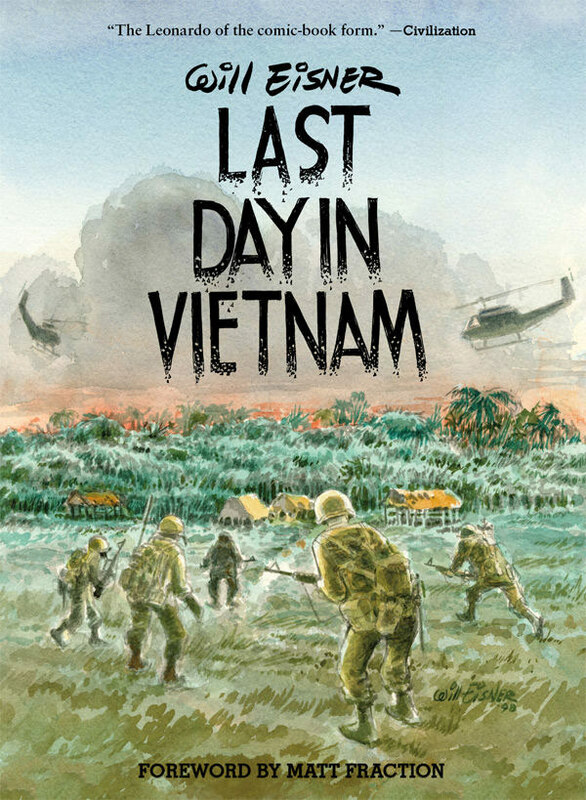 FEBRUARY 27, 2013, MILWAUKIE, OR - Next week sees the release of the brand-new hardcover edition of Will Eisner's classic work Last Day in Vietnam. This beautiful new edition arrives in stores on March 6, on what would have been Will's ninety-fifth birthday. In conjunction with the book's release, there will be two Portland-based events in partnership with Dark Horse Comics and its sister company, Things From Another World, in support of Will Eisner Week, an annual celebration promoting graphic novels, literacy, free-speech awareness, and the legacy of Will Eisner.